1x 90 Degree HDMI Adapter. 1x Female to Female HDMI Adapter. 1x Micro HDMI Male to HDMI Female Adapter. 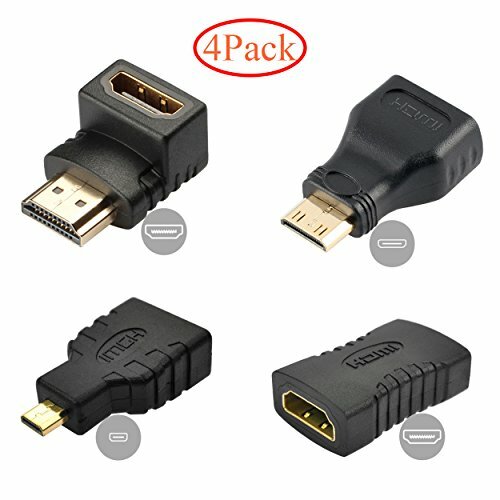 1x Mini HDMI Male to HDMI Female Adapter.